We have a range of 8 new, modern park homes in Cheshire that are now ready for occupation. These will add to the existing park homes at our stunning Riverside Park complex. What makes our Riverside Park homes unique? If you’re considering buying a new park home in Cheshire West, then Riverside Park is exactly what you’ve been looking for. Riverside Park is located on the Weaver River, set amongst idyllic countryside. The river provides stunning views all year round and there are also numerous things to do in the surrounding areas. You can fish or sail on the river, have a game of golf, or take the quiet paths of Delamere Forest by foot or bike. 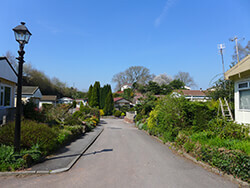 Our homes are also close to local amenities so that you never have to travel far to find whatever you need. Near handy road networks and airports in a great central location, our Riverside Park offers the best of both worlds for 50+ living. The homes themselves are all spacious, modern builds, which are finished to a high specification. Our 8 new homes also benefit from elevated panoramic views. All come with high-speed fibre broadband – which is rare for residential parks – and we even offer 2 lucky buyers the opportunity to reserve either one of our luxury show homes. These include a one-off, specially commissioned PathFinder Evolution (45ft x 22ft) and a Tingdene Havana (45ft x 20ft). You can also reserve any of the other 6 plots from a selection of park home models offered by a manufacturer of your choosing. Why buy a new park home in Cheshire? 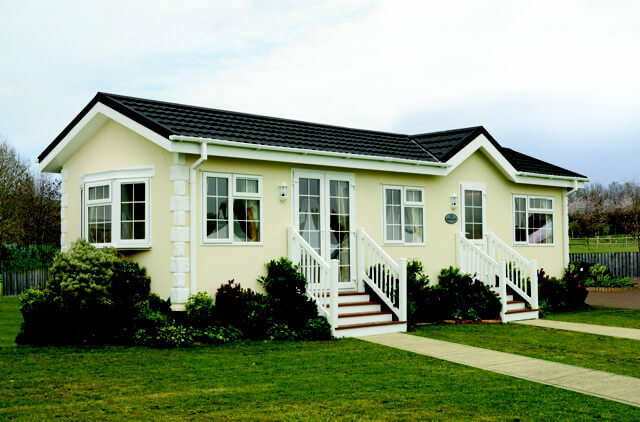 The Cheshire area is the perfect place to buy a park home. It’s big enough that there is always something going on, but just small enough that you can find areas of peace and solace. Cheshire is close to the seaside, making it ideal during the warmer months as you can take a stroll along the beach. There are also numerous lakes and large pond areas to take the grandkids to. You can feed the ducks and have a lovely walk around the area. As well as this, the area is close to a number of country parks and has plenty of cultural experiences available such as theatres, cinemas, and an extensive canal network. Some places to visit include Chester Zoo, Tatton Park, Blue Planet Aquarium, Shropshire Union Canal, or Delamere Forest. If you’re rearing for a hike, then the beautiful Peak District is just a short drive away. Cheshire has something for everyone. What’s more, Cheshire gives you easy access to Wales for an affordable holiday option. Wales offers a variety of activities from camping, to mountain climbing, to sightseeing and more. You will also be within easy travelling distance of some amazing shopping centres, such as Cheshire Oaks and Liverpool One, where you are sure to find everything you need. Why choose Olympic Park Homes? Olympic Park Homes is a family run business, offering quality park home living to the 50+ community. We have a passion for what we do and that is why we continue to set the standard in our field. This passion for the business has been passed down through the generations of the Thornley family. Olympic Park Homes cater to the 50+ community by providing the ideal place for you to spend your golden years. Noise levels, nearby amenities, the quality of views, and many other aspects are taken into account before we even purchase the land to build on. After that, we work closely with leading manufacturers to ensure the highest quality, affordable homes for our customers. We give our customers the freedom to choose what they want. We even allow bespoke designs with custom floor plans and furnishings to suit individual tastes. Why do we do all this? Because we believe that our homes are more than just a house; they are part of a community where like-minded people can live and enjoy their time together in beautiful surroundings. Sound like a dream? Well, your dream home could be right here. Please contact us today to reserve a new park home at our superb Riverside Park and start living the life of luxury.